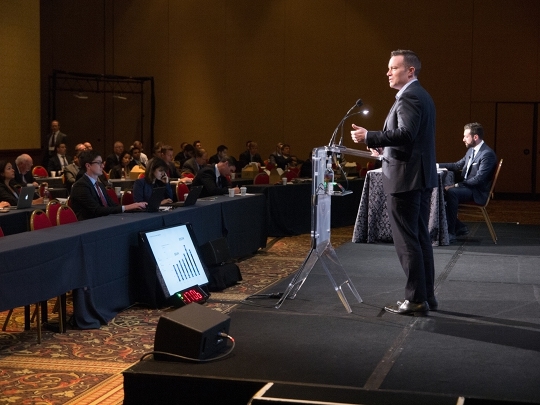 The Denver Gold Group, Inc.
Gold Forum Registration is offered by invitation only to qualified institutional investors, equity research analysts, and select members of the financial media. Marketing and IR firms, and mining service providers are not eligible to attend the Denver Gold Forum at the request of our member companies. Please complete the qualification form if you wish to participate in the Forum. Onsite registration and credential collection: Sunday, September 15, 2019, 3 PM, Denver time. Please note that on-site registration is not guaranteed to be available and is dependent on pre-registration quotas. Complimentary access through September 14, 2019. Walk in rate for unregistered buy-side: $250 per person from September 15, 2019. Early Bird rate: $700 per person through September 10, 2019. Late & walk-in rate: $950 per person from September 11, 2019. Early Bird rate: $1,750 per person through July 31, 2019. Regular rate: $2,400 per per person from August 1, 2019. 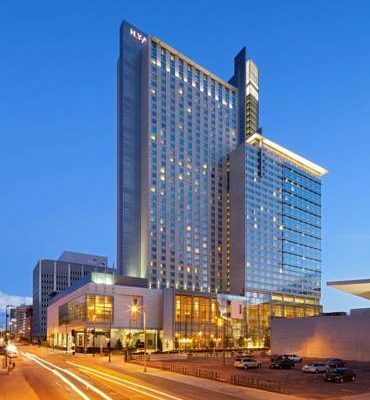 Reservations may be made at the Hyatt Regency Denver using the link supplied with your registration confirmation. 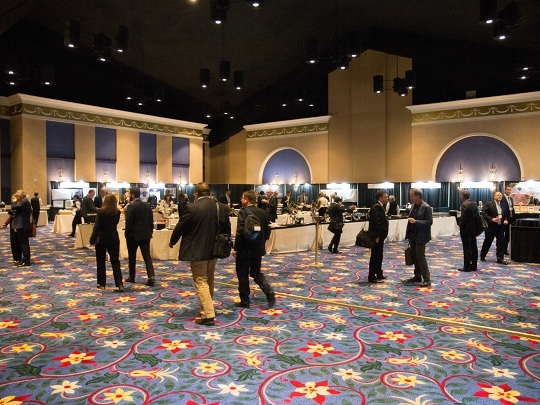 Networking: Connect in person with the precious metal industry's senior decision-makers and investment leaders from around the world - all in one place at one time and with guaranteed confidentiality. Influential: Hear from the leaders of the precious metal value chain - equities executives, fund managers, sell and buy-side analysts, market experts and economists - making the investment case for the metals and their equities, and forecasting future trends. Powerful Agenda: Be on hand for breaking company news. Learn about critical industry issues and developments from a broad range of producers, developers, explorers and market professionals - complemented by renowned featured speakers. Global Perspectives: Learn from and build relationships with peers from the global precious metals investment community. Representative: The Denver Gold Forum will host precious metals equities representing the majority of global market capitalization, production, mineral resources, cash flow, and dividends. Exclusive: Delegates must pre-qualify to attend. 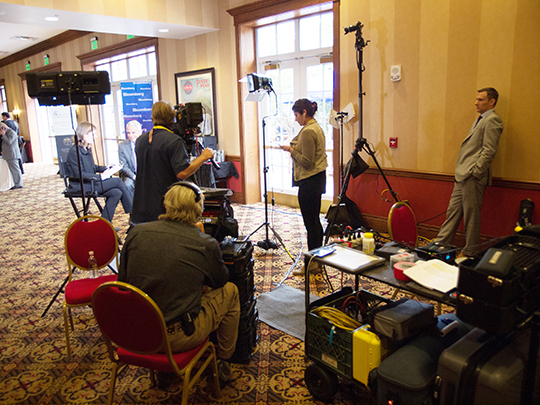 The Denver Gold Forum is not a retail investor or financial advisor targeted event. Investment bankers, investor relations reps and mining services companies do not qualify to participate. Proven and Trusted: Denver Gold Group is a not-for-profit organization that invests in its members rather than its owners. It has been the premier precious metal equities investment event organizer since 1989. It has served the industry in good times as well as bad, supporting companies through all stages of the commodity cycle. It remains the gold standard in a conference circuit saturated with dozens of opportunistic events. 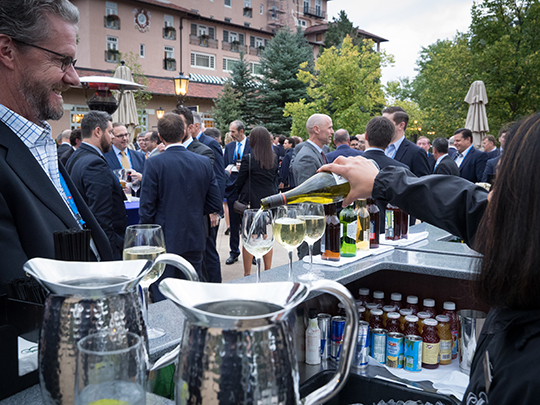 Incredible Venue: Denver offers every world class amenity necessary for productive investor networking and decision-making. The Denver Gold Group does not make any express or implied condition, representation, warranty or other term as to the accuracy, validity, reliability, timeliness or completeness of any information or materials in general or in connection with any particular use or purpose presented at the Gold Forum. The Denver Gold Group does not represent or endorse the accuracy or reliability of any third party advice, opinion, statement, information or materials received during the Gold Forum. The Gold Forum and the information and materials presented at the Gold Forum are not, and should not be construed as, an offer to buy or sell, or as a solicitation of an offer to buy or sell, any regulated gold related products or any other regulated products, securities or investments. The Gold Forum does not, and should not be construed as acting to, sponsor, advocate, endorse or promote any regulated gold related products or any other regulated products, securities or investments. The Gold Forum and the information and materials presented at the Gold Forum do not, and shall not be construed as, making any recommendation or providing any investment or other advice with respect to the purchase, sale or other disposition of any regulated gold related products or any other regulated products, securities or investments, including, without limitation, any advice to the effect that any gold related transaction is appropriate or suitable for any investment objective or financial situation of a prospective investor. A decision to invest in any regulated gold related products or any other regulated products, securities or investments should not be made in reliance on any of the information or materials presented or obtained during the Gold Forum. Before making any investment decision, prospective investors should seek advice from their financial, legal, tax and accounting advisers, take into account their individual financial needs and circumstances and carefully consider the risks associated with such investment decision.